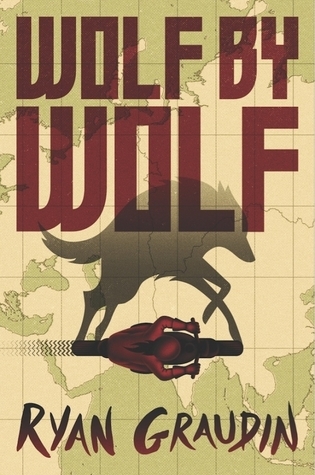 Thanks to NetGalley and Little Brown Books for Young Readers for the arc of Wolf by Wolf by Ryan Graudin! This alternate history of Hitler’s reign begins with Jewish families being stuffed into train cars. Yael, a six-year-old girl, was chosen by a doctor at a concentration camp for experimentation with melanin. As a result of the experiment, Yael can change her coloring to disguise herself. She escapes by making herself look like a Nazi leader’s daughter. She is found by the resistance. Once she is trained, Yael’s mission is to assassinate Hitler. The life or death motorcycle race and the suspenseful espionage make this an interesting take on a WWII alternate historical outcome. 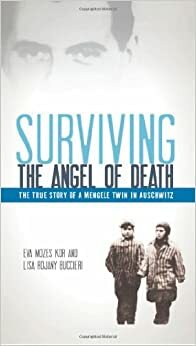 Thanks to NetGalley and Tanglewood for the opportunity to review Surviving the Angel of Death: The Story of a Mengele Twin in Auschwitz by Eva Mozes Kor and Lisa Rojany Buccieri! This non-fiction account of a set of ten-year-old twins is heart-wrenching, but also inspiring. It describes the twins’ experiences with Josef Mengele, the Nazi doctor known as the Angel of Death. The story begins in the Romanian village where the Mozes family resides. I am saddened at how easily people are swayed into prejudice – even children! Even the Mozes family friends turned against them, once the Nazis took over their village. The family’s terrifying trip to, and ultimate seperation at Auschwitz, are brought to life by Eva’s recollections of this horrible time. I greatly admire Eva Mozes. She moved past the trauma and helped many other Holocaust survivors by founding the CANDLES organization. She also founded the CANDLES Holocaust Museum and Education Center. Never ever give up on yourself or your dreams, for everything good in life is possible. Judge people on their actions and the content of their character. Forgive your worst enemy and forgive everyone who has hurt you – it will heal your soul and set you free. The Forest of Whispers by Jennifer Murgia is told in two points of view-Rune’s and Laurentz’. Rune’s mother is a mystery to her. She lives with Matilde as the older woman’s apprentice. When Rune discovers her mother’s history, her life completely changes. The story has German origins and I enjoyed the German vocabulary lesson at the beginning of both books. Castle of Sighs by Jennifer Murgia continues where Forest of Whispers left off. Rune now lives in Pyrmont. She finds traces of protection but she’s not sure what she’s being protected from. She has been left in charge of two orphans from the Bishop’s witch hunt. She worries for their safety and asks Laurentz to take them to his castle. Rune finds an ancient book that reveals the history of the Pyrmont Castle and her ancestors, including her mother. 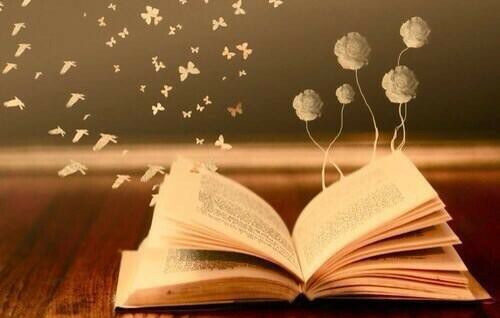 Everything changes drastically after finding the old, magical book. I recommend this series for fantasy and supernatural readers. The Forest of Whispers Series contains wonderful and dynamic characters and interesting setting! 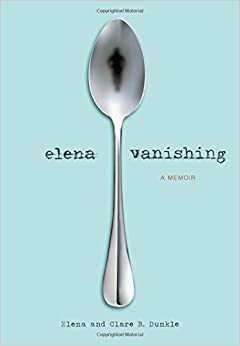 Elena Vanishing by Elena Dunkle is an autobiography of an anorexic sufferer. This book was difficult to read, but I stuck with it! My eyes and heart have been opened! As I began reading, I wondered, “Are Elena’s perceptions true?” I wondered if she had witness accounts or documented incidents to show the true happenings of the contention and actions taken against her. I wasn’t sure if her perception had been swayed by the stress she was under. Elena’s pregnancy, and subsequent miscarriage, led her to seek treatment. Caring for another being is what helped pull her up from rock bottom. I appreciate Elena sharing her experiences and her mother for helping bring everything together! This book can and will help a lot of people who struggle with a disorder, regardless of whether it is an eating disorder or something else. Elena Vanishing will also help the family, friends and acquaintances surrounding the sufferer. Highly recommended! The Gilded Series contains Gilded, Silvern and Brazen. The mythology is my favorite part about this series. Gilded and Silvern are based on Korean mythology and Brazen stretches into Chinese terriroty with the famous terracotta soldiers! Love it! The characters are dynamic and full of life, even in the Spirit World. Highly recommended for lovers of Percy Jackson by Rick Riordan! Thanks to NetGalley and Farrar, Straus and Giroux for the ARC of The Killing Jar by Jennifer Bosworth! Every chapter holds a surprise, so I was hooked! 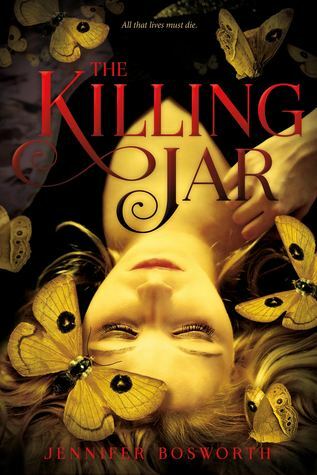 Supernatural power, a lone community and a strong heroine make The Killing Jar an intriguing read. The Killing Jar is a stand alone book with an original concept and a great ending! Jennifer Bosworth is a great new author! I enjoyed Struck as much as I enjoyed The Killing Jar. I am looking forward to her future books!